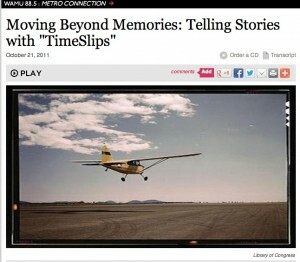 TimeSlips is… an improvisational storytelling method that replaces the pressure to remember with the freedom to imagine. Originally designed to support growth and learning with people with dementia and their caregivers, the TimeSlips method is fun for anyone. Each story begins with an attention-grabbing photo image. Facilitators guide the storytelling session by asking open-ended questions, listening intently, writing down all responses, and weaving them together by repeating the story as it grows. The method values the unique voices of individual participants, their heritage, perspective, and present level of ability. This program is stimulating and fun, creating an environment where all responses are accepted and elders feel safe to participate. What can Liz do for you? As a TimeSlips Facilitator and Master Trainer, Liz gives hope in the face of memory loss. Liz has worked with hundreds of people in senior residences and nursing homes, adult day care programs, and in the community to improvise, retell and share their stories. She has trained eldercare professionals and volunteers from coast to coast to use this ground-breaking method. Contact Liz or click here to learn how individuals and organizations can get online training and customized coaching in the TimeSlips method. Listen to a radio piece featuring Liz and a group of storytellers with dementia.